Table 1. Demographic and endoscopic characteristics of 148 patients with functional dyspepsia. Table 2. Genotype frequencies of the IL1B –31 C/T polymorphism and the outcome of H. pylori eradication therapy. To analyze the influence of the –31 C/T polymorphism of the interleukin-1β gene on Helicobacter pylori eradication therapy success in patients with functional dyspepsia. Functional dyspepsia was diagnosed according to the Rome III criteria. All patients underwent upper gastrointestinal endoscopy, and gastric biopsies were obtained at screening and 12 months after randomization (last follow-up visit). Urease test and histological examination were performed to define the H. pylori status. Patients received twice-daily amoxicillin, clarithromycin and omeprazole for 10 days. Genotyping of the interleukin-1beta –31 C/T polymorphism (rs1143627) was performed using polymerase chain reaction-restriction fragment length polymorphism. One hundred forty-nine patients received treatment with triple therapy for H. pylori eradication. Only one patient was lost to follow-up, and adherence to study medication was 94.6%. A total of 148 patients (mean age 46.08 ± 12.24 years; 81.8% women) were evaluated for the influence of the interleukin-1beta –31 C/T polymorphism on the outcome of H. pylori eradication therapy. After treatment, bacteria were eradicated in 87% of patients (129/148). Genotype frequencies of the polymorphism were as follows: CC, 38/148 (25.7%); CT, 71/148 (47.9%); and TT, 39/148 (26.4%). Successful eradication rate was 78.9%, 94.4% and 82.1% for the CC, CT and TT genotypes, respectively. The CT genotype was significantly associated with successful H. pylori eradication (p = 0.039). This study suggests that the CT genotype of the interleukin-1beta –31 C/T polymorphism plays a role in the successful eradication of H. pylori among patients with functional dyspepsia. Several studies have investigated the role of IL1B polymorphisms in H. pylori eradication, with controversial results in different populations.19,25,27–31 This study aimed to evaluate the influence of genetic variants from the IL1B –31 C/T polymorphism on the outcome of H. pylori eradication therapy among patients with functional dyspepsia. The present study was nested in the HEROES trial (Helicobacter Eradication Relief of Dyspeptic Symptoms trial; ClinicalTrials.gov No. NCT00404534).32 This was a randomized double-blind placebo-controlled clinical trial, with 12-month follow-up, conducted in a single academic hospital, the Hospital de Clínicas de Porto Alegre, Brazil. The HEROES trial studied the effects of H. pylori eradication on the symptoms of functional dyspepsia. In brief, both male and female patients aged 18 years or more, diagnosed with functional dyspepsia and positive for H. pylori, were enrolled in the clinical trial. Exclusion criteria were use of antibiotics or bismuth during four weeks prior to enrollment; proton pump inhibitor use during two weeks prior to enrollment; treatment with histamine-2 receptor blockers in the week prior to enrollment; predominant symptoms of heartburn, irritable bowel syndrome or anemia; and history of peptic ulcer, upper gastrointestinal surgery, biliary colic, and alcohol or drug abuse. Patients with findings suggestive of organic disease, such as peptic ulcer, erosive esophagitis, cancer of the upper gastrointestinal tract and celiac disease, were also excluded. The Research Ethics Committee of the Hospital de Clínicas de Porto Alegre approved the study. Written informed consent was obtained from all patients before enrollment (including permission for genetic testing). The Rome III criteria were used for the diagnosis of functional dyspepsia.33 Upper gastrointestinal endoscopy was performed on all patients and gastric biopsies were obtained at screening and 12 months after randomization (last follow-up visit). Two experienced endoscopists, who were blinded to the treatment allocation, performed the examinations; in case of disagreement, a third endoscopist was available for consultation. Two biopsy specimens were obtained from the incisura angularis, and three each from the corpus and antrum of the stomach. Histological examination was performed with hematoxylin-eosin and Giemsa staining, and urease tests to determine H. pylori status, and a patient was considered infected if H. pylori was positive for both tests. In case of disagreement between the primary pathologists, a third pathologist was consulted. In the HEROES trial, patients were randomized to receive either triple therapy with omeprazole 20 mg, amoxicillin 1000 mg, and clarithromycin 500 mg, all twice-daily (Omepramix®, Aché Laboratórios Farmacêuticos SA, São Paulo, SP, Brazil) for 10 days (antibiotics group), or treatment with omeprazole 20 mg and placebo antibiotics, twice-daily (control group). Adherence to medication was assessed through pill count of returned medications. Patients were considered adherent if at least 80% of the prescribed medications were consumed. In the present study, patients from the antibiotics group were analyzed for genetic variants of IL1B –31 C/T polymorphism and rate of H. pylori eradication. DNA samples were extracted from blood samples using the salting-out method.34 Polymerase chain reaction-restriction fragment length polymorphism (PCR-RFLP) was performed for genotyping of the IL1B –31 C/T (rs1143627) polymorphism, with the previously described primers.23 PCR conditions involved an initial denaturation step at 94 °C for 3 min; 35 cycles at 94 °C for 10 s, 60 °C for 30 s, and 72 °C for 30 s; and a final extension step at 72 °C for 5 min. The Alul enzyme was used to digest the fragments of 239 base pairs (bp) generated from the PCR reaction (37 °C for 1 h). The C allele presented fragments of 234 bp and 5 bp, while the T allele was characterized by fragments of 137 bp, 97 bp and 5 bp. Genotypes were determined by visualization on a 10% polyacrylamide gel stained with silver nitrate. Of the 404 patients with functional dyspepsia and positive for H. pylori included in the Heroes Trial32, 303 consented to participate in the genetic analysis of the IL1B gene. Of these, 149 received the triple therapy for H. pylori eradication. Only one patient was lost to follow-up, and adherence to study medication was 94.6% on average. In this study, nested in the HEROES trial,32 a total of 148 patients were evaluated for the influence of the IL1B –31 C/T polymorphism on the outcome of H. pylori eradication therapy. Fig. 1 shows the flow of participants in the present study. Table 1 presents the demographic characteristics of the 148 patients with functional dyspepsia enrolled in the present study. The mean age was 46.1 ± 12.2 years and 81.8% were women. Postprandial distress syndrome was present in 50.7% of patients. Demographic and endoscopic characteristics of 148 patients with functional dyspepsia. Genotype frequencies of the IL1B –31 C/T polymorphism were as follows: CC, 38/148 (25.7%); CT, 71/148 (47.9%); and TT, 39/148 (26.4%). The samples were in Hardy-Weinberg equilibrium (p = 0.622). Table 2 shows the outcome of H. pylori eradication therapy according to genotypes of the IL1B –31 C/T polymorphism. After treatment, bacteria were eradicated in 129/148 (87.2%) patients. The successful eradication rates were 78.9%, 94.4%, and 82.1% for CC, CT, and TT genotypes, respectively. A significantly higher frequency of the CT genotype was observed among patients with successful H. pylori eradication (p = 0.039; padjusted = 0.012; OR = 4.05, 95% CI: 1.19–17.53). The dominance of the C and T alleles was also evaluated, but no significant association was observed. Genotype frequencies of the IL1B –31 C/T polymorphism and the outcome of H. pylori eradication therapy. Data are shown as the number of patients (percentage). Adjusted residuals p = 0.012; OR = 4.05 (95% CI: 1.19–17.53). In the present study, H. pylori was eradicated in a large proportion of patients with functional dyspepsia who were treated with triple therapy. Patients received twice-daily clarithromycin, amoxicillin and omeprazole during 10 days. This treatment period was chosen as some studies have reported the efficacy of H. pylori eradication to be lower in patients with functional dyspepsia than in patients with other gastric disorders, such as peptic ulcer disease.36,37 Moreover, a major strength of this study is that only one patient was lost to follow-up and participants showed high adherence to study medication. The CT genotype was present in almost half of the sample analyzed and was significantly associated with successful eradication therapy. The IL1B –31 C/T polymorphism is located within the regulatory region of the transcription TATA box and its genetic variants are associated with different levels of IL-1β production.21,23–26 El-Omar et al.21 performed an in vitro study analyzing the DNA-protein interactions using synthetic allele-specific oligonucleotides, representing the –31 T and –31 C alleles. DNA-protein complex formation did not occur in the presence of the C allele; however, the DNA-protein interaction was increased five-fold with the T allele. The same experiment was performed for the –511 T/C polymorphism, a polymorphism characterized by T to C transition located at position –511 of the IL1B gene, which is in complete reverse linkage disequilibrium with the –31 C/T polymorphism.25,39 However, no difference was observed regarding DNA-protein interactions. In this sense, the production of IL-1β may be increased when the –31 T allele (–31 CT or –31 TT genotypes) is present, resulting in a strong inflammatory response in the gastric mucosa of H. pylori-infected patients. The biological properties of IL-1β in the gastric inflammatory response to H. pylori infection and its influence on gastric acid secretion has motivated studies investigating the influence of genetic variants on H. pylori eradication, with controversial results. Studies with eastern and western populations have found no association of the IL1B –31 and –511 polymorphisms with H. pylori eradication rates.27,29–31 However, a study with Japanese patients infected with clarithromycin-sensitive strains found the –511 TC (–31 CT) and –511 TT (–31 CC) genotypes to be significantly associated with H. pylori eradication rates.28 The cure rate was 88.2% for carriers of the –511 TT (–31 CC) genotype, 87.7% for the –511 TC (–31 CT) genotype, and 72.2% for the –511 CC (–31 TT) genotype. A similar result was reported by Furuta et al.40, with significantly different eradication rates between genotypes: 94.7% for –511 TT (–31 CC), 89.6% for –511 TC (–31 CT), and 77.3% for –511 CC (–31 TT). In the previously reported study by El-Omar,21 the presence of –31 T allele may enhance the production of IL-1β in the gastric mucosa, leading to intense gastric inflammation. A more severe inflammation of the gastric mucosa may facilitate the clearance of H. pylori through a strong inflammatory response. In addition, IL-1β is a potent inhibitor of gastric acid secretion, with decreased gastric acid secretion playing a fundamental role in H. pylori eradication.19,21,24,25 However, while the proinflammatory effect of IL-1β may facilitate the clearance of H. pylori, the inhibition of gastric acid leads to hypochloridria, causing damage to the mucosal cells and allowing the accumulation of bacterial toxins and by-products of inflammation, such as reactive oxygen and nitrogen oxide.21 Therefore, a hypothesis to explain our results may be related to the milder effect of the –31 CT on the induction of inflammation in the gastric mucosa. The CT genotype fulfills its role in causing inflammation able to contribute to H. pylori eradication, due the presence of T allele; however, the inflammation is not exacerbated to the extent of causing damage to the gastric mucosa and production of harmful amounts of reactive oxygen species. Therefore, the CT genotype could contribute to successful H. pylori eradication. The use of a proton-pump inhibitor, clarithromycin and amoxicillin or metronidazole for triple therapy has been the universally recommended treatment method for H. pylori-infection.41 The decreased efficacy of this combination over the years has been associated with antibiotic resistance, with H. pylori-eradication rates of <70%.15 The major limiting factor of triple therapy is the resistance of recent H. pylori strains to clarithromycin,42 with studies in Brazil reporting resistance rates ranging from 1.1% to 17.3%.43–45 The rate of resistance to clarithromycin in a representative sample of our study population is reported as being 11%,43 which makes the triple therapy (PPI-amoxicillin-clarithromycin) a good first-line treatment option for H. pylori eradication. Even considering the sensitivity to clarithromycin, high medication adherence rate and 10-day treatment period, it is also possible that CT genotype may be an influencing factor in successful H. pylori eradication. A limitation of present study is concerning the sample size analyzed, which limited the statistical power to detect differences. Moreover, given that Brazilian population has mixed ancestry, there is a potential risk of sample stratification. Nevertheless, studies show that large urban areas from Brazil do not present significant isolated ethnical groups46 thus our patients are from a single panmictic population. Future studies with ethnic stratification and larger samples can generate a better knowledge of the influence of IL-1B gene in H. pylori eradication. On the other hand, it is important to note that the sample analyzed was rigorously characterized. All patients involved in the current study were diagnosed with functional dyspepsia according to the Rome III criteria, with upper gastrointestinal endoscopy and gastric and duodenal biopsies, and H. pylori diagnosis was performed carefully through urease and histopathological tests. Another limitation of the present study is that neither IL-1β levels nor IL1B gene expression were determined in the gastric mucosa of patients. For a better understanding of the issue, it would be important to compare these levels among patients according to genotypes. This study suggests that the CT genotype of the IL1B –31 C/T polymorphism is associated with successful eradication of H. pylori among patients with functional dyspepsia. Helicobacter pylori infection: an overview in 2013, focus on therapy. C.Y. Kao, B.S. Sheu, J.J. Wu. Helicobacter pylori infection: an overview of bacterial virulence factors and pathogenesis. D. Lopes, C. Nunes, M.C. Martins, B. Sarmento, S. Reis. Eradication of Helicobacter pylori: past, present and future. X. Calvet, M.J. Ramirez Lazaro, P. Lehours, F. Megraud. Diagnosis and epidemiology of Helicobacter pylori infection. A. Mentis, P. Lehours, F. Megraud. R.K. Baingana, J. Kiboko Enyaru, L. Davidsson. Helicobacter pylori infection in pregnant women in four districts of Uganda: role of geographic location, education and water sources. P. Malfertheiner, A. Link, M. Selgrad. Helicobacter pylori: perspectives and time trends. Helicobacter pylori infection in functional dyspepsia. Helicobacter pylori: future perspectives in therapy reflecting three decades of experience. S. Shiota, R. Suzuki, Y. Yamaoka. The significance of virulence factors in Helicobacter pylori. H. Miwa, J. Watari, H. Fukui, et al. Current understanding of pathogenesis of functional dyspepsia. J. Tack, T. Masaoka, P. Janssen. Management of Helicobacter pylori infection – the Maastricht IV/ Florence Consensus Report. Functional dyspepsia: new insights into pathogenesis and therapy. L.G. Coelho, I. Maguinilk, S. Zaterka, et al. T. Kamada, K. Haruma, K. Komoto, et al. Effect of smoking and histological gastritis severity on the rate of H. pylori eradication with omeprazole, amoxicillin, and clarithromycin. M. Sugimoto, T. Furuta, Y. Yamaoka. Influence of inflammatory cytokine polymorphisms on eradication rates of Helicobacter pylori. Virulence factor genotypes of Helicobacter pylori affect cure rates of eradication therapy. E.M. El-Omar, M. Carrington, W.H. Chow, et al. Helicobacter pylori infection, host genetics and gastric cancer. J. Yang, Z. Hu, Y. Xu, et al. Interleukin-1B gene promoter variants are associated with an increased risk of gastric cancer in a Chinese population. T. Furuta, E.M. El-Omar, F. Xiao, et al. I.R. Hwang, T. Kodama, S. Kikuchi, et al. Effect of interleukin 1 polymorphisms on gastric mucosal interleukin 1beta production in Helicobacter pylori infection. T. Furuta, N. Shirai, M. Takashima, F. Xiao, H. Sugimura. Effect of genotypic differences in interleukin-1 beta on gastric acid secretion in Japanese patients infected with Helicobacter pylori. Y. Ishida, Y. Goto, T. Kondo, et al. Eradication rate of Helicobacter pylori according to genotypes of CYP2C19, IL-1B, and TNF-A. M. Sugimoto, T. Furuta, N. Shirai, et al. Influences of proinflammatory and anti-inflammatory cytokine polymorphisms on eradication rates of clarithromycin-sensitive strains of Helicobacter pylori by triple therapy. S. Take, M. Mizuno, K. Ishiki, et al. Interleukin-1beta genetic polymorphism influences the effect of cytochrome P 2C19 genotype on the cure rate of 1-week triple therapy for Helicobacter pylori infection. C.F. Zambon, M. Fasolo, D. Basso, et al. Clarithromycin resistance, tumor necrosis factor alpha gene polymorphism and mucosal inflammation affect H. pylori eradication success. L. Zhang, Q. Mei, Q.S. Li, Y.M. Hu, J.M. Xu. The effect of cytochrome P2C19 and interleukin-1 polymorphisms on H. pylori eradication rate of 1-week triple therapy with omeprazole or rabeprazole, amoxycillin and clarithromycin in Chinese people. L.E. Mazzoleni, G.B. Sander, C.F. Francesconi, et al. Helicobacter pylori eradication in functional dyspepsia: HEROES trial. J. Tack, N.J. Talley, M. Camilleri, et al. D.K. Lahiri, J.I. Nurnberger Jr..
WINPEPI updated: computer programs for epidemiologists, and their teaching potential. The first-line eradication rate for Helicobacter pylori infection in functional dyspepsia patients. L.J. van Doorn, P.M. Schneeberger, N. Nouhan, A.P. Plaisier, W.G. Quint, W.A. de Boer. Importance of Helicobacter pylori cagA and vacA status for the efficacy of antibiotic treatment. The importance of interleukin 1beta in Helicobacter pylori associated disease. T. Furuta, N. Shirai, F. Xiao, et al. Polymorphism of interleukin-1beta affects the eradication rates of Helicobacter pylori by triple therapy. P. Malfertheiner, F. Megraud, C. O’Morain, et al. Current European concepts in the management of Helicobacter pylori infection – the Maastricht Consensus Report. The European Helicobacter Pylori Study Group (EHPSG). T. Furuta, N. Shirai, M. Sugimoto, et al. Influence of CYP2C19 pharmacogenetic polymorphism on proton pump inhibitor-based therapies. J.N. Eisig, F.M. Silva, R.C. Barbuti, et al. 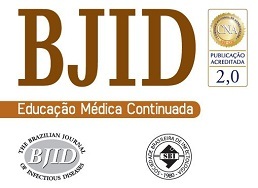 Helicobacter pylori antibiotic resistance in Brazil: clarithromycin is still a good option. P. Prazeres Magalhaes, D.M. De Magalhaes Queiroz, D.V. Campos Barbosa, et al. Helicobacter pylori primary resistance to metronidazole and clarithromycin in Brazil. S.U. Picoli, L.E. Mazzoleni, H. Fernandez, et al. Resistance to amoxicillin, clarithromycin and ciprofloxacin of Helicobacter pylori isolated from Southern Brazil patients. F.C. Parra, R.C. Amado, J.R. Lambertucci, J. Rocha, C.M. Antunes, S.D. Pena.